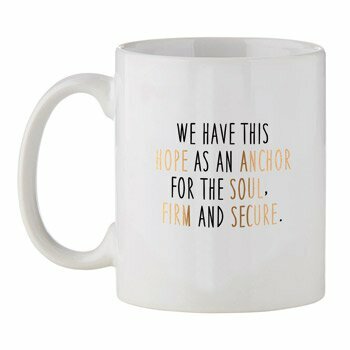 This mug features a popular saying to help remind us to keep firm and secure in our faith - "Jesus is My Anchor. 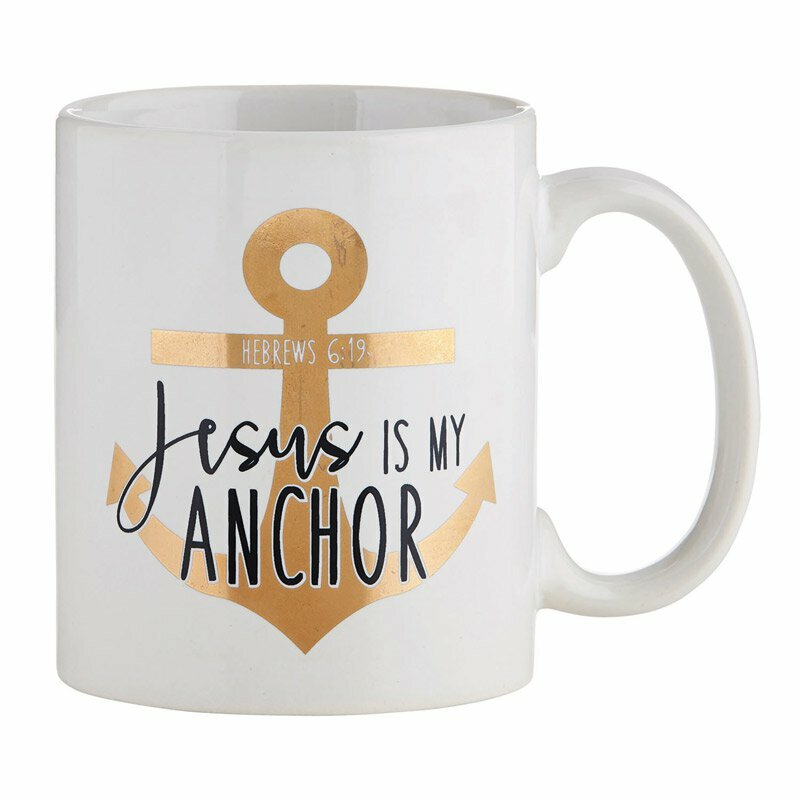 Hebrews 6:19." Perfectly priced for gifts and give-aways. 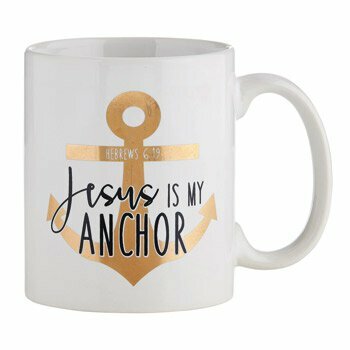 Features metallic printing! Matches our popular tote bag (#B3063). Do not microwave. Hand wash for best results, but also top-rack dishwasher safe.